Have you found a community of women hikers who welcome you with open arms and share their trail wisdom with you? Who celebrate and support you? 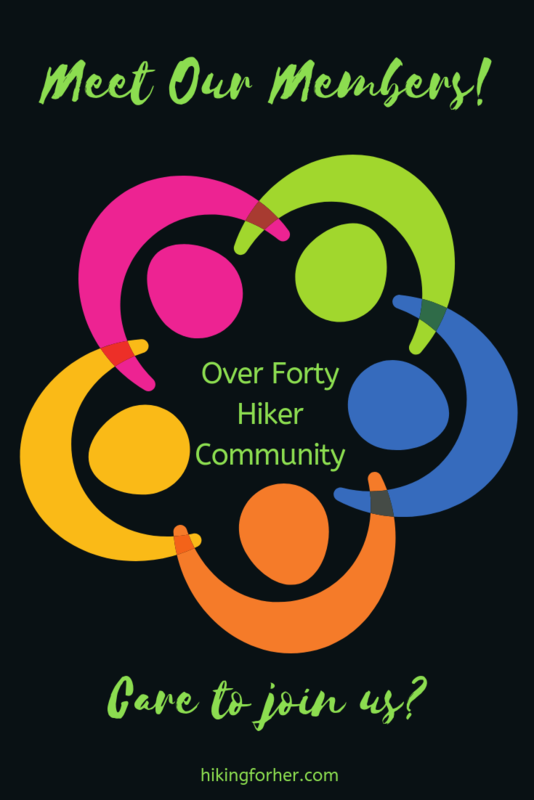 Over Forty Hiker is a private online hiking community that you might want to check out. Membership is only $4.99 per month, but can cost as little as $3.33/month if you have an annual membership! You might be curious about who joins a private hiking community like this one, especially if you're thinking of joining. To keep things simple, the answers to four questions will help you get to know a few of the members in our Over Forty Hiker community. 1. How would you describe yourself as a hiker? 2. What appeals to you about this community of women hikers? 3. How has Over Forty Hiker impacted your hiking? 4. Anything else you’d like to add? 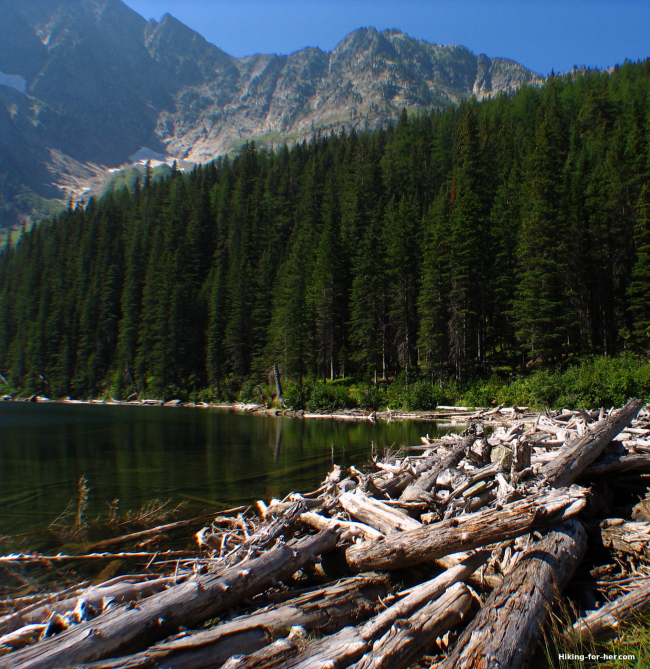 Ready to meet some hiking community members? Fun loving, aware of nature's gifts in Birds, Flowers and Trees and importantly: being prepared and having what I need while being comfortable. What appeals to me about this community of women hikers is that every person that shares in this site shares a part of themselves that is unique, intelligent, humorous and wise. I learn so much from every person here and am so grateful for the comments and pics that are shared here. I've made some really lovely friends. How Over 40 has impacted my hiking is by teaching me about ideas, products, preparation and experience that all lend to me being well prepared and safe. Also I'm more comfortable in my clothing gear as well as my own skin. When I started hiking, I was so shy and uncertain! Now, I am more confident and experienced with a good deal of common sense and instruction from fellow members who I trust completely! If I was to add anything it is the gratitude to the fellow members here who have taught me so much about hiking, but also about being a better human being too. Everyone here is kind, nice and helpful. We have a lot of laughs! I've met some loving and incredible friends who have enriched my life and helped me get on with the task of living with a great sense of humor & a genuine affection for the natural world. I feel lucky to be on this site and to be on the trail. Oh! And I just earned my "Trail Tag": Twinkle!!! I'm Twinkle of the Trail! I’ve been an avid day hiker since I “discovered it” for the first time when I was already 22 or 23. More recently in the past year + I’ve discovered backpacking and I love it, though only starting out. The experience of being on the trail overnight and at the edges of the day has inspired me to expand my possibilities with day hiking (such as starting before sunrise). I love the fact that it’s all women. Even more importantly I like that it is full of women 40+. Many of the other women’s hiking groups I follow seem to be made up of all young pups. When I was 20 I had more adrenaline and less physical considerations than I do now (or was just more naïve and invincible feeling). So I like seeing and pushing myself now without feeling badly that I’m not sprinting up 20 high peaks in an afternoon. The variety of skills, experiences, and interests of the group is enriching. It has given me a safe space to ask questions I wouldn’t ask in other groups (those hygiene, condition-specific or women-specific considerations). I am also inspired to go new places and try new things! I look forward to having more people join the group to have more voices, stories, and experiences and make it an even more active group. Every hiker is unique, and that's one of the things we like to celebrate in our community. Stay tuned for more member profiles, a perfect chance to get a glimpse into what makes our Over Forty Hiker community tick! You can receive an invitation to our community right now. Hope to meet you soon! Your invitation to Over Forty Hiker is almost on its way. Just fill in the boxes and we can hit the trail together. Thanks for requesting an invitation! It will be sent to your email address as quickly as these little electrons can be harnessed and sent in your direction. If by chance you don't receive an invitation within 48 hours, please try again. We'd hate for you to miss out on this unique community experience!